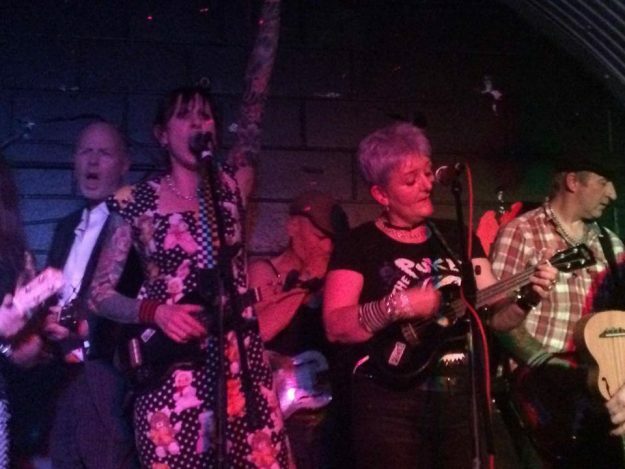 ESSEX PUNK CLUB UNDER THREAT! It won’t have escaped your notice that live music venues are currently struggling up and down the country, so we’re particularly saddened to hear that another great club is in difficulty. The Asylum in Chelmsford has been putting on great gigs in Chelmsford, Essex for a few years now, catering for fans of punk, metal and more, bravely holding the fort for live music in the no-mans-land between Colchester and Southend. The likes of THE PUKES, THE FRANKLYS, PLATYPUS, STIV CANTARELLI & THE SILENT STRANGERS, THE DELTA JACKS and THE LUCKY STRIKES have all played memorable gigs their while local bands like THE PENNY ANTICS, MR HAPPY CHAINSAW and OSMIUM GUILLOTINE have all cut their teeth there. Having been fighting the good fight keeping the kids of the Chelmer Valley culturally fed and watered, they now find themselves in the deeply unenviable position of needing a lot of money very quickly. As is usual in these situations, they’ve set up a GoFundMe page. Also, legendary Southend venue The Railway Hotel is helping out by staging a special fundraising gig on Tuesday 15 November. As it’s such short notice, the full line-up is yet to be finalised but one WILKO JOHNSON, LEW LEWIS and other very special guests are expected. Kick off is 6pm. Admission is FREE but bring plenty of dough to donate!